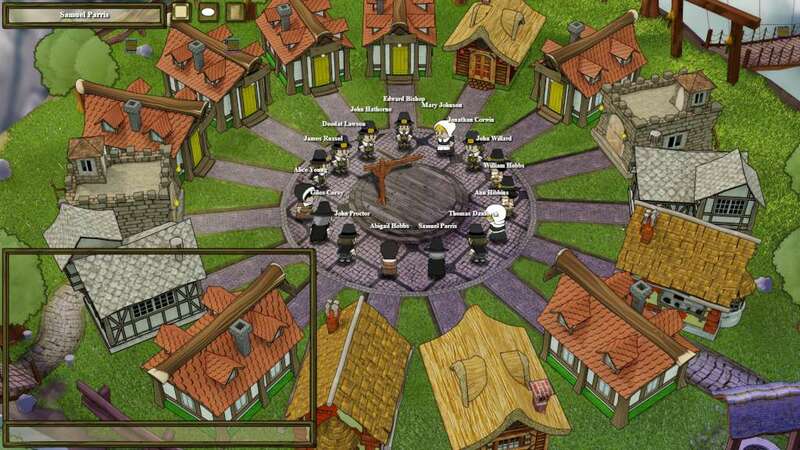 The game ranges from 7 to 15 players. 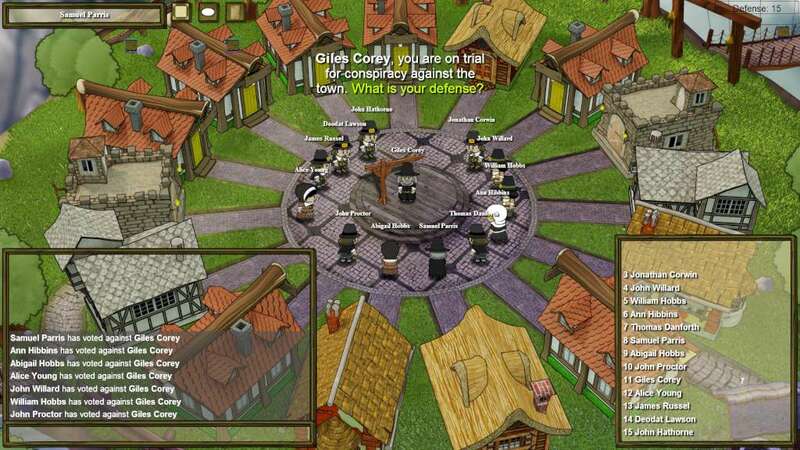 These players are randomly divided into alignments - Town, Mafia, Serial Killers, Arsonists and Neutrals. 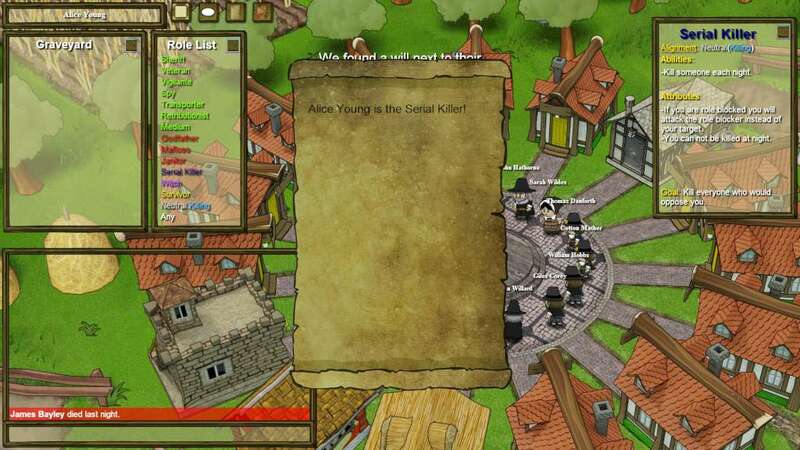 If you are a Town member (the good guys) you must track down the Mafia and other villains before they kill you. The catch? You don't know who is a Town member and who is a villain. If you are an evil role, such as a Serial Killer, you secretly murder town members in the veil of night and try to avoid getting caught. 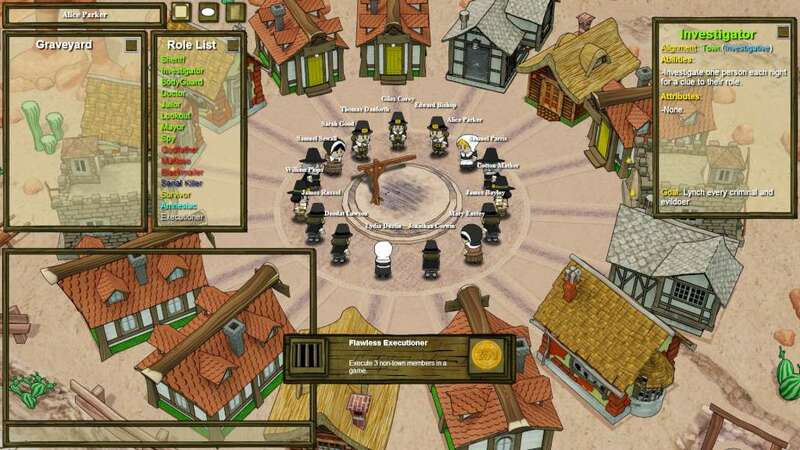 Town of Salem has 30 unique roles ensuring a different experience each time you play. 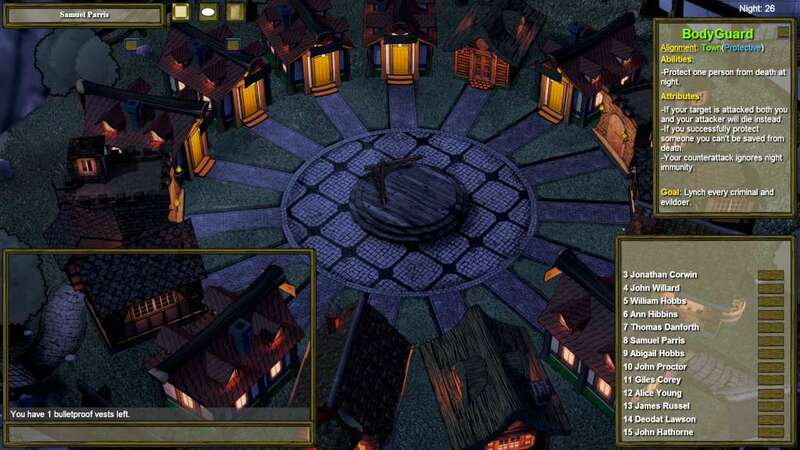 Players are able to choose their own map (town setting), character, items, house and a custom name. The other players in the game will see your chosen character, house and name. As the game grows we will add many more cool maps, characters and houses. There are currently, 4 maps (1 is exclusive to Kickstarter), 6 characters (1 is exclusive to Kickstarter) and 6 houses (1 is exclusive to Kickstarter) to choose from. There are currently over 300 unique achievements in the game. Earning achievements will grant various in-game items (however the items for donation rewards are exclusive to Kickstarter).